Anthony Watts blog has been really boring lately. Nothing really ridiculous. But today he's come up with a doozy. 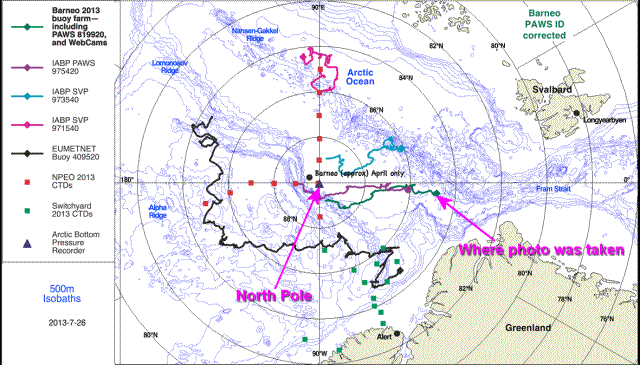 Anthony writes that people were wrong about a webcam being at the north pole. 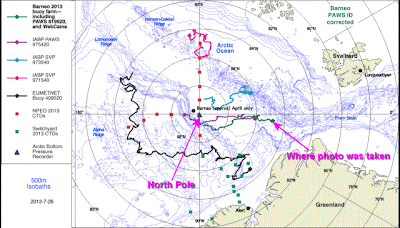 Thing is, of course, that even if the buoy isn't right on the North Pole, disappearing ice north of Greenland is something new. We'll be getting used to it more and more in coming decades. But that's not the doozy. 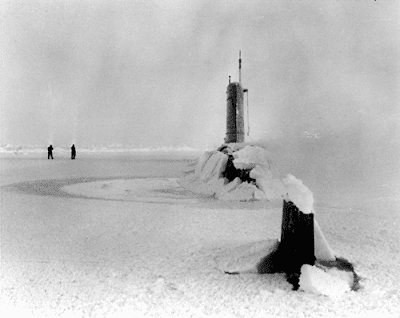 and posts this picture and has written as the caption: "Skate (SSN-578), surfaced at the North Pole, 1959. (US Navy photo)". He's done this before and had to correct himself! You know what's even more hilarious? Anthony did this trick before, back in March last year. And he had to correct the caption back then. (Early onset?) I wonder if anyone will get him to correct it this time around. The length of time before anyone points out his deception could signal by how much the readership of WUWT has deteriorated. 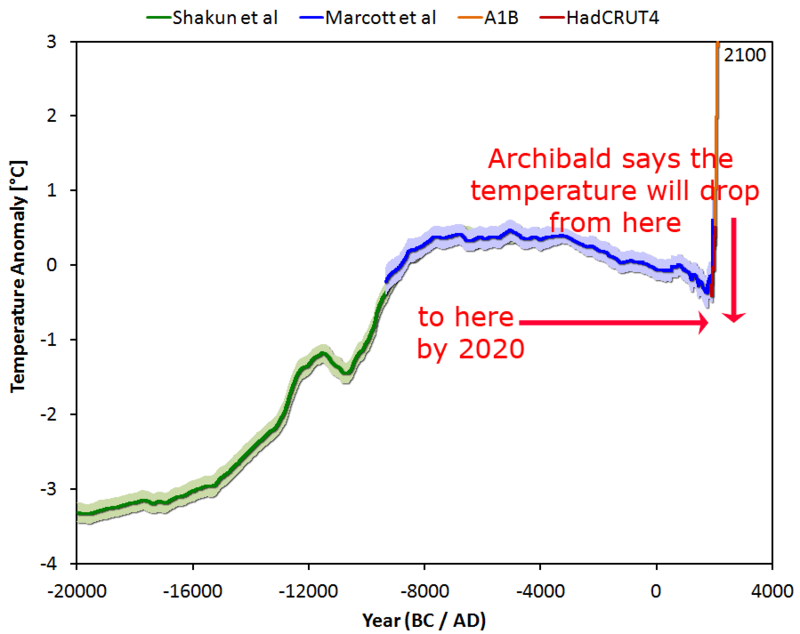 Currying favour with deniers - Judith predicts no more warming "for the next few decades"
I noticed a few visitors here from Judith Curry's blog and discovered HotWhopper got an honorable mention in the comments. So I'll return the favour. It also gives me a chance to show David Appell up in a good light to make up for my being hard on him a few weeks ago. I'll provide part of an exchange for all those who are like me and, in order to stay sane, don't usually waste time at Curry's place. 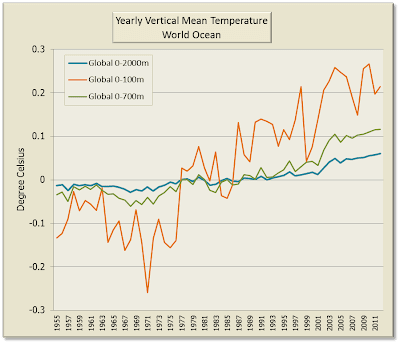 It all started with Judith Curry posting a diatribe against the Cook et al study, which is the latest in several studies that have demonstrated the scientific consensus that humans are causing global warming. Judith doesn't like the fact that there is a scientific consensus and seeks to undermine it every chance she gets. JC comment: Too many defenders of the consensus have become either ‘pause’ deniers or ‘pause’ dismissers. A while back, I recommended that they ‘own’ the pause, and work on explaining it. Belatedly, we see a little bit of this happening, but of course it does not lead them to challenge the main IPCC conclusion on 20th century attribution. Judy "recommended"! (Snort!) As if any self-respecting scientist would take any notice of what Dr Curry orders them to do. JC summary: It is really good to see this discussion about the role of consensus in the public debate on climate change and the problems this has caused for the science, the policy, and increasingly for the proponents of consensus. It is however dismaying to see that continued influence that the existence of a ‘consensus’ has on the politics (especially President Obama’s citing of the Cook et al. study). Now let's wait and see how she argues that the scientific consensus on the dangers of tobacco led to everyone taking up smoking. Or that no President (or Surgeon General) in the USA should have indicated that there is such a scientific consensus. July 27, 2013 at 8:10 pm JC wrote: A while back, I recommended that they ‘own’ the pause, and work on explaining it. It has been explained ad nauseum. 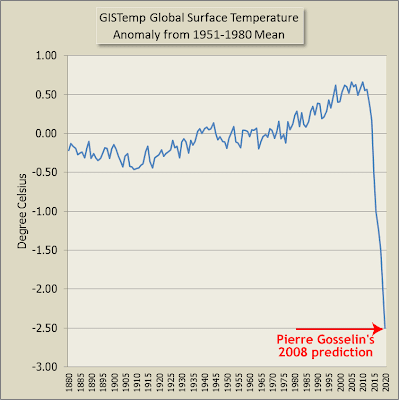 It in now way undermines AGW, which many many scientists have now said. 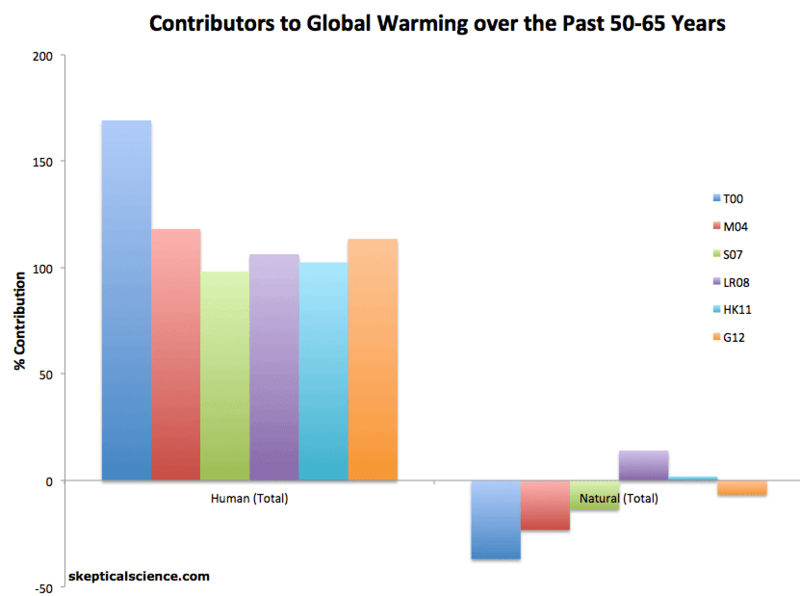 The Earth still has a clear energy imbalance, and the AGW problem is still here. 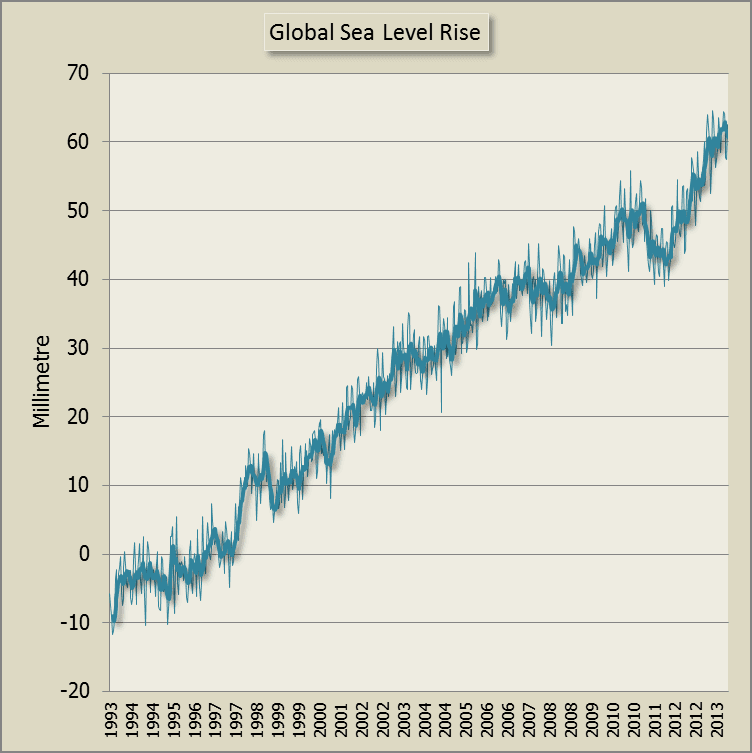 The “pause” is absolutely no reason to take AGW any less seriously. 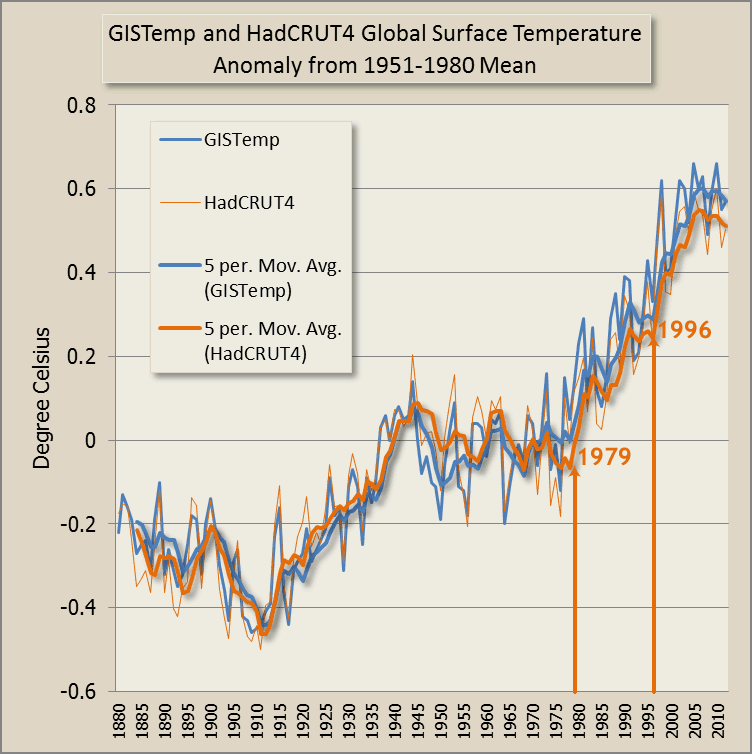 Surface warming will resume — physics says it has to. What will be the excuse then? curryja | July 27, 2013 at 8:44 pm I understand that 15 years is too short, but the climate model apostles told us not to expect a pause longer than 10 years, then 15 years, then 17 years. Looks like this one might go another two decades. The 1945 – 1975 pause was not caused by aerosols. 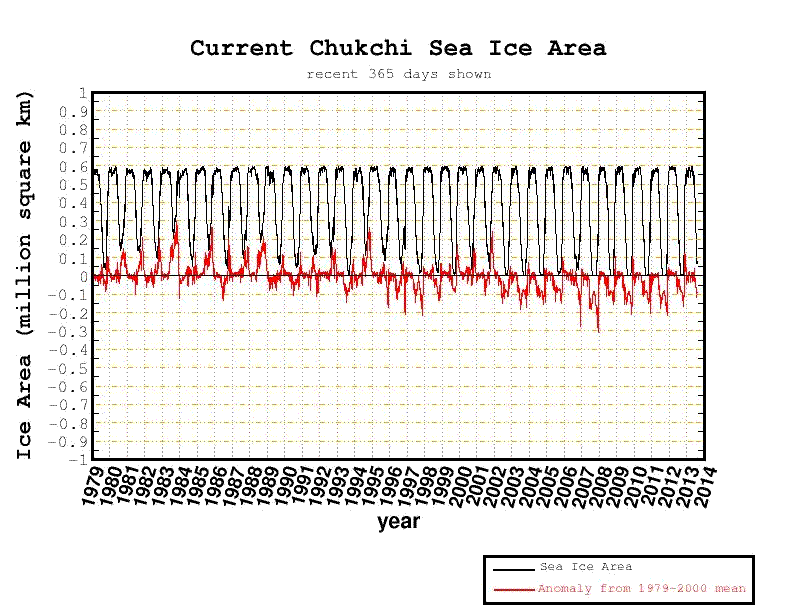 People who have argued that the 1945-1975 pause was caused by multidecadal ocean oscillations are called deniers, this is one of the main ‘denier’ arguments. ... In summary, because of the effects of natural internal climate variability,we do not expect each year to be inexorably warmer than the preceding year, or each decade to be warmer than the last decade, even in the presence of strong anthropogenic forcing of the climate system. 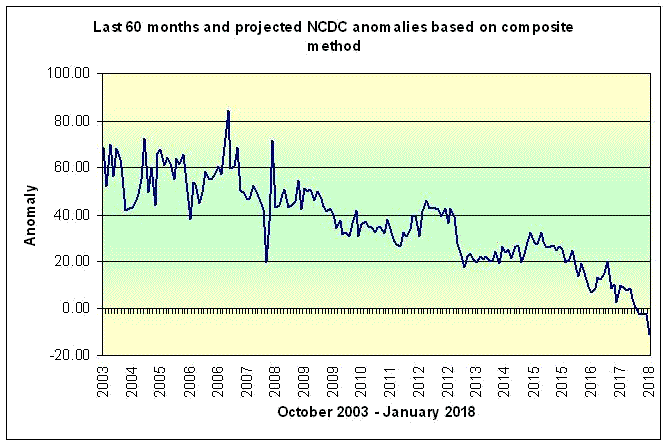 The clear message from our signal-to-noise analysis is that multi-decadal records are required for identifying human effects on tropospheric temperature. Minimal warming over a single decade does not disprove the existence of a slowly-evolving anthropogenic warming signal. Judith is an apologist for science deniers. It's what she does and who she is and what she wants. She's pretty well given up on getting any professional respect so she curries favour with the denialati. 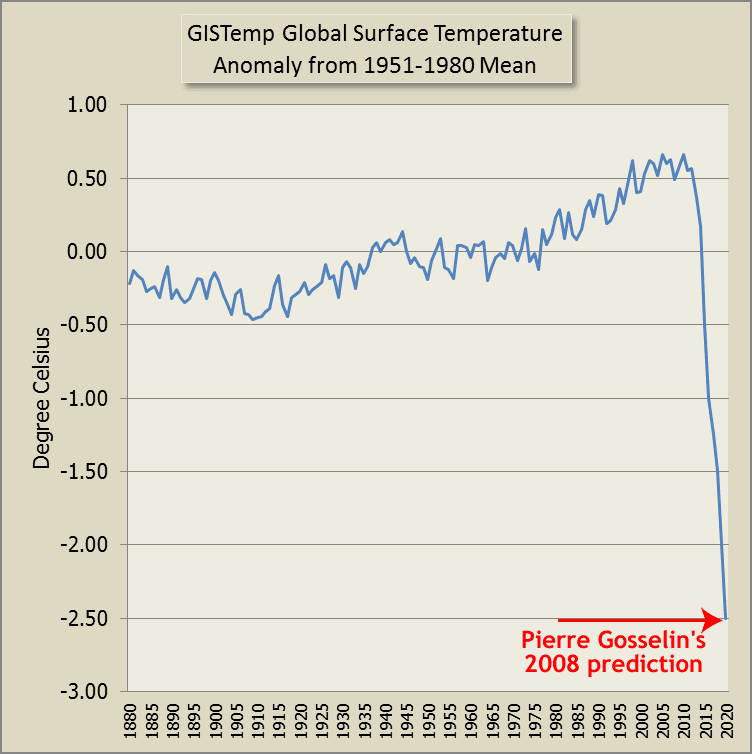 Curry predicts no more warming for "the next few decades"
Enough of her prevarication. Here is Judith Curry's prediction. 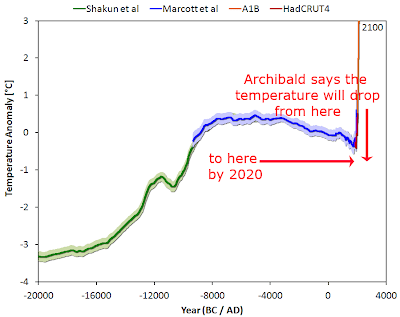 A flat temperature trend for the next few decades. Now that will be one to watch if there is anyone left in the world who gives tuppence for what Judith Curry thinks. How many is a "few"? I would take it that she predicts no warming till at least 2050. I wonder if she'll take a bet on that. 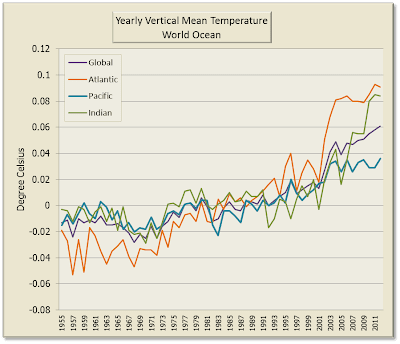 Finally, it is vital to note that there is no comfort to be gained by having a climate with a signiﬁcant degree of internal variability, even if it results in a near-term cessation of global warming. It is straightforward to argue that a climate with signiﬁcant internal variability is a climate that is very sensitive to applied anthropogenic radiative anomalies (c.f. Roe ). If the role of internal variability in the climate system is as large as this analysis would seem to suggest, warming over the 21st century may well be larger than that predicted by the current generation of models, given the propensity of those models to underestimate climate internal variability [Kravtsov and Spannagle 2008]. 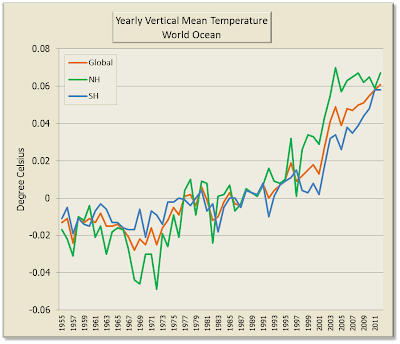 Here is an article about their 2009 paper at Desmogblog, and another at realclimate.org by Swanson, who is the lead author. 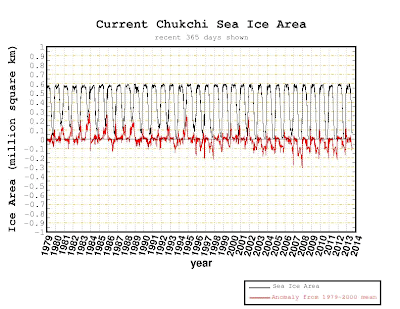 Of course as the fact of being chaotic doesn’t imply that the GHG play no role (just that they play some role), he proceeds with the mandatory genuflexion to orthodox AGW by saying that “… the climate shifted after the 1970 event in another warmer state which may be superimposed on an anthropogenic warming trend.” This certainly allows him to avoid inflammatory articles by the usual suspects in the newspapers. Could Judy possibly be trying to argue that the world shifts to a warmer state by magic? Just like Bob Tisdale and other deniers at WUWT? Judith Curry is happy to misrepresent the work of other scientists. She isn't much interested in science itself, she's too caught up in denying it. Sou | 12:41 AM Feel free to comment! Today Anthony Watts posted an article on his anti-science blog WUWT about a couple of NASA videos. These visualizations -- which highlight computer model projections from the draft National Climate Assessment -- show how average temperatures could change across the U.S. in the coming decades under two different carbon dioxide emissions scenarios. The climate of the southwestern U.S. could be a lot drier by 2100. The climate of the northeastern U.S. could be a lot wetter. New visualizations of computer model projections show how precipitation patterns could change across the U.S. in the coming decades under two different carbon dioxide emissions scenarios. The two climate scenarios, based on "low" and "high" levels of carbon dioxide emissions, highlight results from the draft National Climate Assessment. Both scenarios project that dry regions get drier and regions that see more rain and snow would see that trend increase. The scenario with lower emissions, in which carbon dioxide reaches 550 parts per million by 2100, projects more subtle changes. The scenario with higher carbon dioxide emissions projects changes in average annual precipitation of 10 percent or more in some regions. July 29, 2013 at 12:16 am Anthony, you might mention in the headline that the 8 degrees is Fahrenheit. Interesting that the low estimate for 2100 (550 ppm) is in fact exactly a doubling of pre-industrial CO2, so the predicted warming of 4.5 F reveals their estimate of climate sensitivity: 2.5 C. That’s if the predicted warming includes the warming of about 0.7-0.8 C already observed–if they are saying the warming starts from now, they are using a higher sensitivity of about 3.2 C.
July 29, 2013 at 5:51 am I think NASA’s credibility is at the same level of the UK’s Met Office – i.e. non-existent ! Seriously, how can an organisation famed for taking calculated risks re the space program and engineered design, modern science, etc, be so crass as to fall in line with climate science ‘trends’? July 29, 2013 at 5:33 am And the descent, is complete. NASA, once a shining beacon of the most brilliant combination of science and engineering in the history of mankind, is now nothing more than a hotbed for pseudo-scientific quackery and political maneuvering. How sad to have seen this change occur, just in our own lifetimes. July 29, 2013 at 5:25 am “They chose 1970-1999 to calibrate their models” If one knows nothing about fall and winter( or purposely chooses to ignore them) and uses the rising summer temperature months to predict the future, you will erronously and most probably perdict only more warming summers. This kind of silly science coming from Nasa? This looks to me as a political move to support the President’s global warming agenda rather than a piece of new or sound science. The timing of this study release gives away its intented purpose. July 29, 2013 at 4:26 am I can’t believe that all scientists at NASA share the views of the upcoming report. What about those 50 or so people that wrote a letter of protest regarding Hansen and his catastrophic views of global temperatures? It’s time for them to stand up with more vigor regarding this garbage. After all, the reputation of all NASA is at stake! Anthony Watts makes no pretense at "reasonable". What with making a "sticky" out of 500 plus testimonies from about 300 born again freaks who found inner peace through science denial at WUWT. Giving voice to the potty peer Monckton. Letting Brandon Shollenberger show he can't read a simple science paper (or do arithmetic). Most of Anthony's readers think that specialists at NASA, the UK Met Office, CSIRO and other leading research organisations "don't know nuffin'" or are part of the biggest scam in the history of the world (together with mother nature). Lately his site has been no better than that of conspiracy theorist and gold bug "Jo Nova". And it's been so boring the past few days. Maybe if we ask nicely he'll bring back Ronald "it's insects" Voisin or daft Darko Butina - they were more fun! July 28, 2013 at 2:31 pm Not a scientist, and it was my general skepticism of modern “science”, along with an inherent understanding that modern whacko-environmentalism was the new home of socialism and CAGW was just further manifestation of their desire to control people’s lives, that kept me from ever falling for the CAGW scare to begin with. 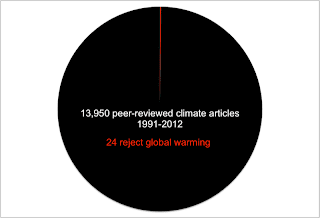 July 28, 2013 at 1:42 pm When Climategate ‘broke’ I wondered what it was all about and started searching the internet. Within about fifteen minutes I found the phrase ‘the science is settled’. “How can science ever be settled?” I thought. “There is something funny going on here.” After researching various sites on the internet to try to ascertain the truth, I am totally unable to accept the CAGW theory. July 28, 2013 at 11:01 am For me it was simple. I learned about the little ice age in 6th grade world history (Leif Erikson discovered N. America, et. al). When I first heard about CO2 global warming in the early 90′s, i kept waiting to hear how they determined CO2 was the cause and not a rebound from the LIA. I am still waiting. July 28, 2013 at 5:45 am Clearly as shown by the comments, the pathway towards becoming a CAGW skeptic, or preferably, climate realist is knowledge, while the True Believers like jai seem to prefer ignorance. Takes all kinds I guess. July 28, 2013 at 3:59 pm Late to the party – I wanted to read all the comments first. Thanks Jonathan for starting this wonderful thread; it should be a gold-mine for psychologists if they have any real dedication to academic integrity. Contrast the above comments with the scientific literature on the subject. 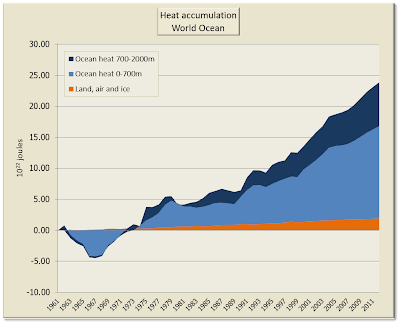 Sceptic Richard Dawkins has posted an article by James Lawrence Powell, who analysed nearly 14,000 scientific papers about global warming. He only found 24 that rejected global warming outright or posited a cause other than increased greenhouse gases. Deniers will only accept the 24 papers and reject the other 14,000 or so. They are the epitomy of the deluded. Update: In the article and comments, I've counted 35 deniers professing to be engineers. Did an actual count (but didn't double check). Could be more but definitely fewer than the 60+ I initially thought. The word "engineer" comes up 75 times so far. - Sou Sunday 28 July 13, 2:54 pm AEST. 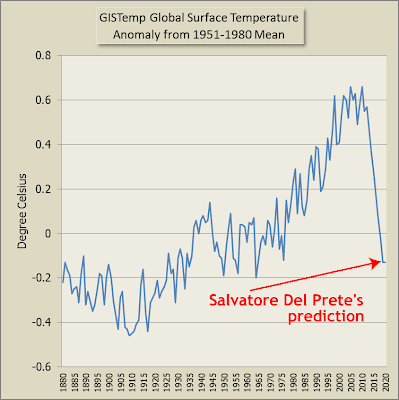 The confessions from science deniers at WUWT keep coming. I commented just a short while ago about Jonathan Abbott's heart-wrenching story about his short path to fake scepticism. Did he read science papers? No. Did he read the IPCC reports? No. Did he do any research at all? No. What he did was hear about global warming on the BBC, decided it wasn't for him, so he went looking for other people who rejected science. He found a denier film and a denier blog (WUWT) and has since stopped "looking". Actually, like most fake sceptics, Jonathan didn't ever start looking at science. Here are a few other stories, most of a similar vein. The starting point varies but for most deniers, the journey stopped at the first denialistic journalist, author or youtube video they found. July 25, 2013 at 11:55 am My academic standard only reaches Geology A’level. 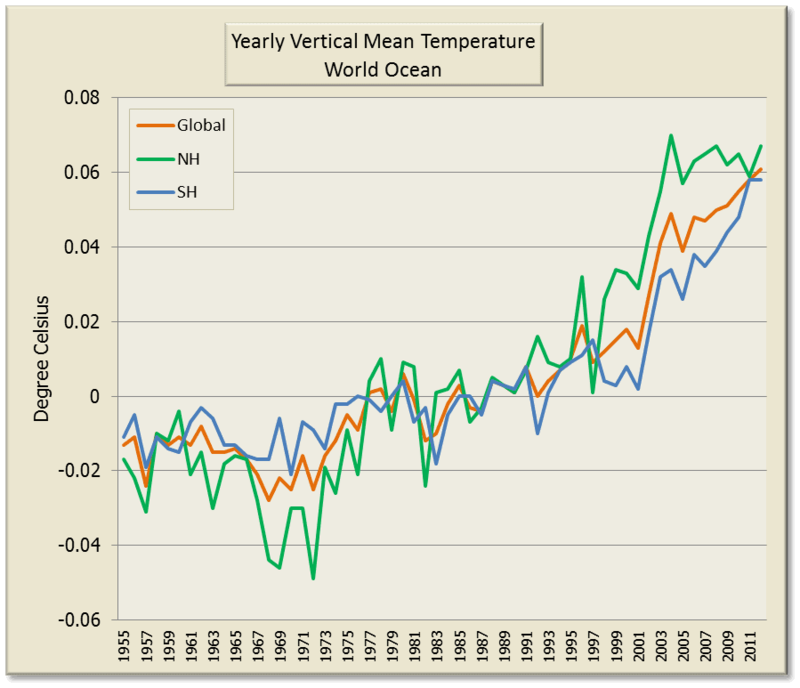 From what I had learnt though, I was pretty sure that the global temperature had previously been much higher than present. That seemed to torpedo the warmist’s claim that feedbacks were catastrophically positive. My first contact with sceptics came from Chris Bookers column in the Sunday Telegraph who guided me to WUWT and the rest as they say is history. July 25, 2013 at 12:02 pm Well put. My journey toward climate skepticism began with reading Michael Crichton’s State of Fear. I was so intrigued that I checked the data, listened to skeptical speakers on you tube, and visited the sites you mentioned on line. July 25, 2013 at 12:05 pm My conversion from believer to skeptic came only after I came to rude awakenings in other disciplines. It started during the housing crisis (which is still ongoing, btw) – my occupation was residential construction and despite all the “experts” on TV and in newspapers saying it would keep going up I knew they were wrong and I was subsequently proven correct. That episode bitchslapped me into awareness – if everyone was wrong about something as fundamental as housing prices, what else are we wrong about? July 25, 2013 at 12:22 pm I had a similar path to the author. I had lots of questions, but seeing breathless propaganda about “settled science” made me suspicious. “The Great Global Warming Swindle” prompted me to seek answers on the internet, and I stumbled upon Jo Nova’s website, and from there, others. Having had classic scientific education, I can judge facts for myself, and what I saw made me really angry. And I saw a fraudulent attempt to use the name of science to install global control, raise unjustified taxes and impose bogus regulations. I still believe that CAGW ideology is more dangerous than any other totalitarian ideology or religion, as it has such popular support, yet outright wrong and will inevitably result in utter misery and death to many. 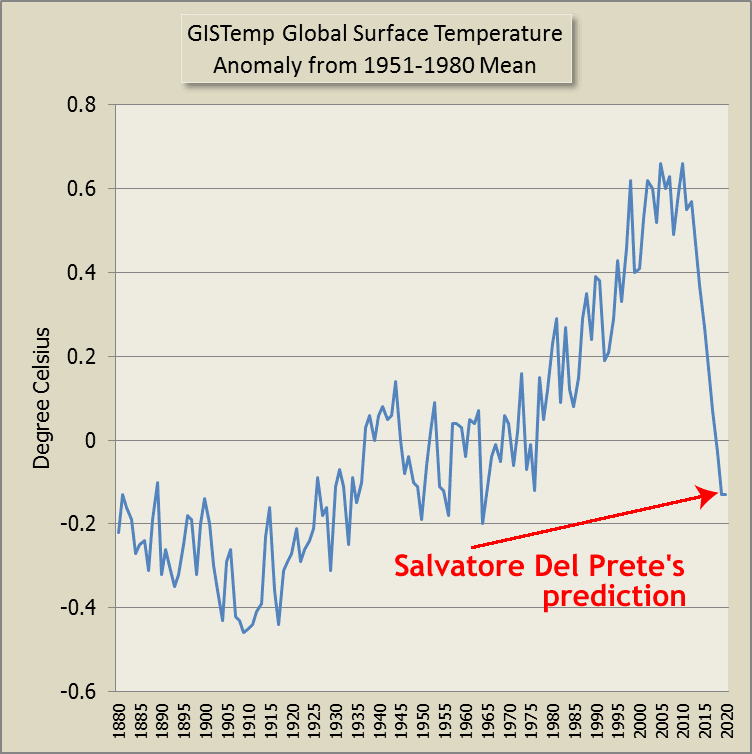 Dave the Engineer says: July 25, 2013 at 11:31 am Skeptic from the beginning. Theo Barker says: July 25, 2013 at 12:34 pm Another engineer with a very similar path to similar stance. In all, a search of the so far 412 comments finds the word "engineer" listed 67 75 times in that thread, only two of which were in the original article. Most At least 35 were from people saying they are engineers. There were eleven mentions of the word "geologist" but only four deniers saying they are geologists. By contrast, the word "biologist" only appeared twice, both times in disparaging comments about biologists. The word "chemist" or a variant appeared seven times, but not a single person claimed it as their field. The only time the word "physicist" appeared was a denier saying they are a retired particle physicist. Bombshell**! Smokey admits WUWT "regularly hears from scientific illiterates"
The following excerpt is just to show that WUWT moderator dbstealey/smokey skirts perilously close to the truth on rare occasions. The italics are my comments, with the second link showing how at least two of jai mitchell's comments were censored in the past week. Ironically, Smokey was trying to argue with jai, the subject of much censorship. **Bombshell is a word much used in climate discussions. It's a dog-whistle word. 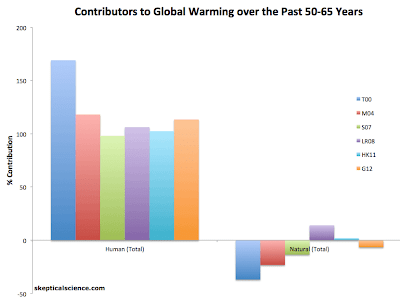 There are a couple of deniers who hang out at Anthony Watts' anti-science blog, WUWT, from time to time. This pair go by the names of Paul C. “Chip” Knappenberger and Patrick J. Michaels. I don't know if they are denialists themselves or not, but they are known for spreading disinformation wherever they can. They are from the Cato Institute, which is a libertarian think tank/lobbying organisation, initially set up by "coal" Koch, that promotes denial of climate science. This time they have recycled an article from the Economist and are putting a lot of weight on climate sensitivity studies (Bayesian approaches) that tend to the lower end of the suite of projections. Pat 'n Chip are writing as if all studies are showing lower climate sensitivity, which is not so. First up, I'll point out as have others, that the Economist article was based on something it says is in the working group on mitigation, not on the physical sciences. So it means zilch. 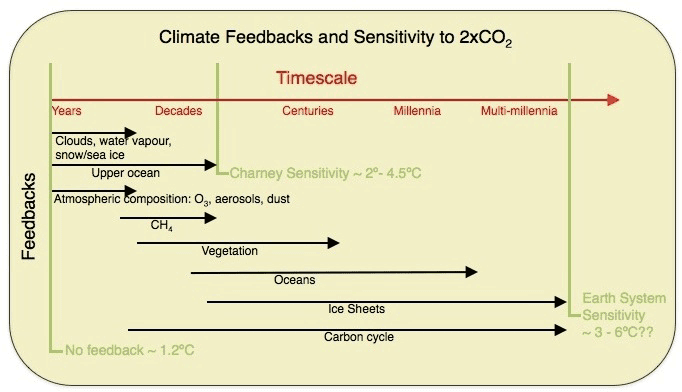 Secondly, climate sensitivity is important to know, but it doesn't have to be known precisely. What is more important to my mind is behaviour. If we double or treble the amount of atmospheric CO2 or worse, we'll definitely turn up the heat to more than we can handle. I did a quick search of Google Scholar for climate sensitivity studies in the past couple of years. There are swags of them. The only ones that Pat 'n Chip want their readers to know about are the ones that come in at the lower end of the spectrum. 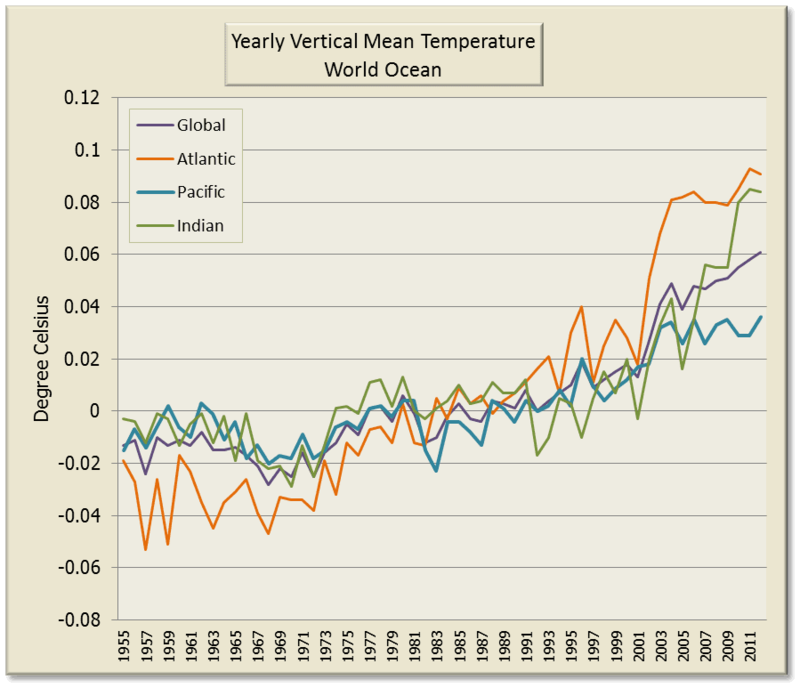 But there are many recent studies that come up with the same sort of numbers that the IPCC came up with in the past. It's just that the media hasn't picked up on them. Probably because they are the norm rather than the exception. 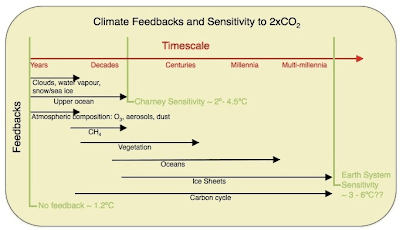 Rohling et al (2012) Making sense of palaeoclimate sensitivity, Nature DOI: 10.1038/nature11574 (Thanks to BBD for the link to the full paper). 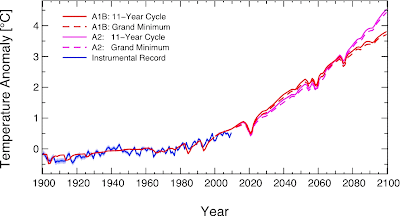 Equilibrium = 1.9˚C (1.2 to 2.9˚C); transient = Using observational data up to and including year 2010 gives a 90% C.I. 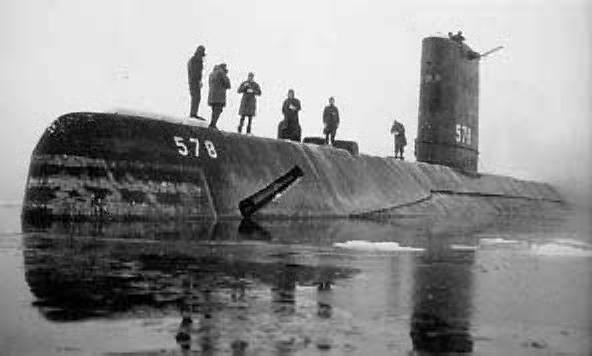 of 1.0 to 2.1˚C, while the 90% C.I. 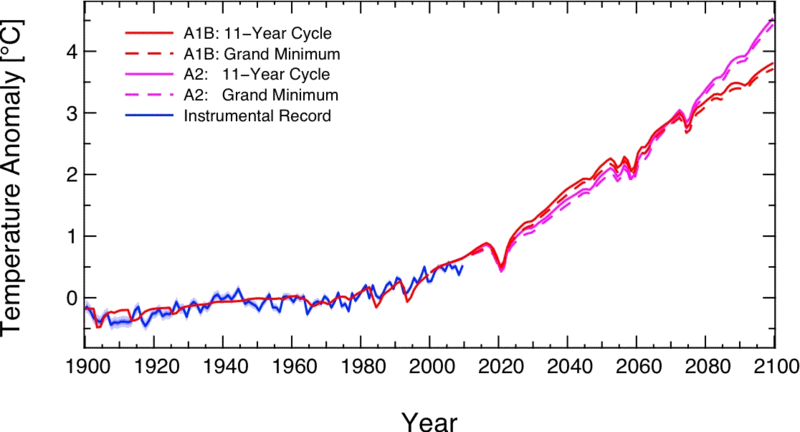 is significantly broader ranging from 1.1 to 3.4 ˚C if only data up to and including year 2000 is used. Pat 'n Chip would have the scientists exclude all the higher estimates and only publish the lower estimates. Many if not most of the lower estimates seem to come from Bayesian analysis, while the higher ones more commonly come from analysis of past climates (paleoclimatology) or climate models - which are based on physics. The reason seems to be that they want permission to continue to pollute the atmosphere for a while longer yet. Obviously they don't give tuppence for what happens to humanity, society or any other life on earth in the future. Otherwise they'd be arguing that regardless of whether equilibrium sensitivity was 2˚C (which Pat 'n Chip favour) or 3˚C or 4˚C or higher, if we don't stop burning fossil fuels soon climate change will get much worse. The response was a mixed lot with people mostly talking past each other. Here is some classic pseudo-science from Konrad, who says pre-industrial CO2 is fictitious, that "LWIR" (does he think there is such a thing as SWIR I wonder?) doesn't affect the cooling rate of water that is free to evaporatively cool - presumably evaporating because of cooling? And radiative gases cool the earth, not heat it! 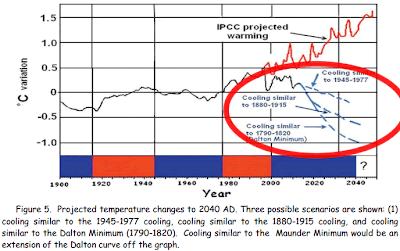 July 26, 2013 at 5:32 pm “Climate sensitivity” to a doubling from fictitious “pre-industrial” levels would be around -0.00000001 C. To arrive at this figure you of course have to ignore all the evidence that temperature drives atmospheric CO2 concentration at all time scales. 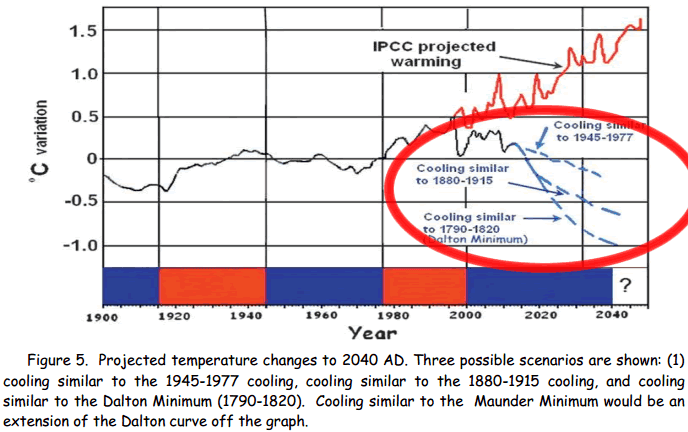 Next reduce those ludicrous figures for DWLWIR slowing the cooling of the earths surface by 71percent. LWIR doesn’t effect the cooling rate of water that is free to evaporativly cool. Now as the troposperic lapse rate created by convective circulation is near the adiabatic limit, there is little need for ajustment here. However speed of convective circulation and mechanical energy transport from the surface should be increased for higher radiative gas concentrations. The ERL argument can be safely ignored as it is junk science. In a moving atmosphere, warm air masses are transporting energy high above the level of maximum IR opacity, where they always radiate more than the air at the altitude they are rising through. You should find that radiative gases act to cool the atmosphere at all concentrations above 0.0ppm. The IPCC however should continue to do static atmosphere calculations and assume surface IR absorption based on emissivity. Otherwise they won’t get paid. 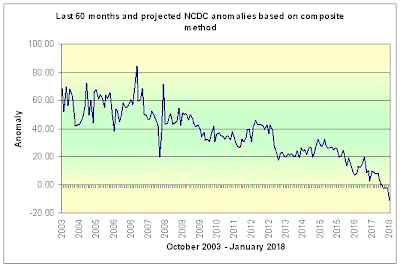 July 26, 2013 at 11:39 pm My view is that the atmospheric control system that damps out natural fluctuations is near 0 K CO2 climate sensitivity. There has been AGW, from Asian aerosols reducing the albedo of low level clouds. This led to the 1980s and 1990s heating but has now saturated. It lead to the ocean temperature rise What we are seeing now in the reduction of TPW and the turn down of OHC and air temperature is the effect of operation of other parts of the control system. CO2 is automatically eliminated from the temperature effects. From where on earth does the Other_Andy get his information? July 27, 2013 at 3:05 am So, according to the warmists CO2 (And positive feedbacks) controls the Earth’s temperature. As CO2 goes up so does the temperature. Between 1979 and 1996, CO2 increases by 25 ppm (More than 7% increase), there are several El Ninos and the temperature stays the same. What is their explanation? A science denier called Jonathan Abbott has written an article on WUWT about his discovery of and entrance to of the blessed community of the scientific illiterati. He's fair game, given that he posted this not as a comment but as a full blown article. So here is my take. Not a pretty picture but typical of the educated conservative science denier who feels the need to rationalise his denial. In this case in public. Kind of like public baptisms into a quasi-religious cult. It probably gives him a feeling of belonging to boast on WUWT about his conspiracy ideation and science denial. Jonathan says what stuck in his mind as a little boy was someone (he doesn't say who), long after all speculation had ceased, talking about an impending ice age. He says this took place in "the early 80s", which was long after all but the most unrealistic scientists entertained any notion that pollution would lead to global cooling. Particularly since clean air legislation had already been introduced in most developed nations in the late sixties and seventies. So even as a small child his mind was primed to latch onto quack science. He studied engineering (sorry engineers, but your profession seems to attract people of certain mental inagility). He says he read texts by Bertrand Russell and some science writers and he thinks that helped him in critical thinking. It didn't. As he demonstrates later, he didn't ever get past the notion of only accepting what suited him to "believe" and discarding any facts that he didn't like. That's not critical thinking, that's confirmation bias and lack of ability to think critically. He reacted against and was unable to distinguish between what is well-accepted science and what areas are at the frontiers of new knowledge (a similar disability to that referred to above). He demonstrates this with emotive language. He also exhibits a tendency towards conspiracy ideation as shown by his distrust of authority. For example, he writes: "I first noticed predictions of global warming and the associated dire warnings of calamities to come. 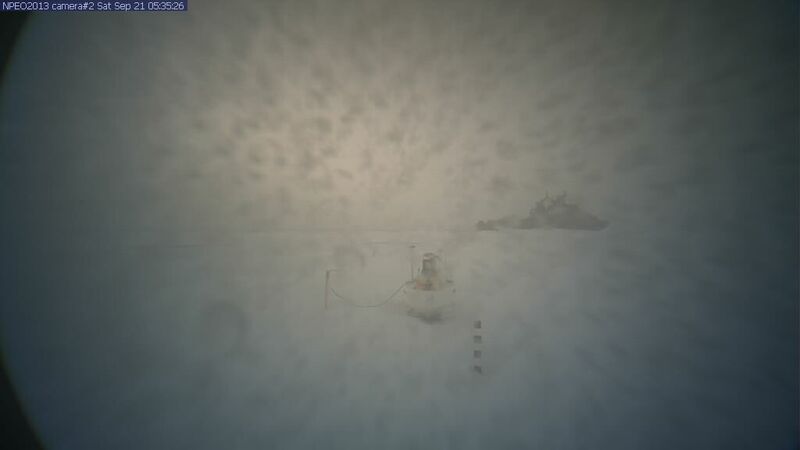 Some of these emanated from the Met Office and so I knew should be treated with a pinch of salt but other sources included NASA, which I then personally still very much respected; despite the space shuttle evidently being the wrong concept poorly executed, their basic scientific expertise seemed unquestionable." He demonstrated zilch understanding of science, comparing the earth system, which is described by scientists in terms of known physics, chemistry and biology with the stock market, which is influenced as much by human emotions as economics. For no reason at all except he presumably didn't like it, he discounted the greenhouse effect and the impact of increasing greenhouse gases as being "implausible" "on the grounds of common sense". Oh, and his conspiracy ideation comes to the fore again in his references to "charities", "pressure groups" and "the UN". He expressed a concern for the environment, writing: "So I was quite passionate about the environment, but my focus was on keeping it clean and safe for all life to live in." However that concern didn't extend to him educating himself about it. It probably gave him a warm and fuzzy feeling but he refused to learn what keeping the world clean and safe for all entailed. He scorned science. Instead of reading it he mocked it and doubted it, especially as he seems to have got his science from the BBC. Jonathan is a conspiracy nutter of the right wing authoritarian type, and is suspicious of organisations like the BBC. He made no mention of ever reading any scientific journals. One can speculate that such an exercise would be too challenging. Not intellectually challenging (he said he was an engineering graduate) but emotionally challenging. Challenging of his world view. Jonathan got excited by the The Great Swindle and the release of decades of private emails of a handful of climate scientists. Being of a conspiracising bent and combined with his world view he was a sitting duck for the disinformation brigade. He was pining for someone to tell him that climate science is all wrong and the scientists are all crooks (fitting his conspiracy mentality), so he fell for the big con hook, line and sinker - expressing no scepticism whatsoever. Jonathan then writes this: "But on WUWT and other CAGW-sceptic sites criticism of the position of the website founder isn’t just tolerated but often encouraged. " What a joke! Jonathan gives no hint that he's aware of Anthony's general rule of banning any and every one who accepts science from posting or deleting comments about actual science, even innocuous comments This is particularly odd given that Anthony deleted comments to Jonathan's previous article just a few days ago, including comments about science and a comment that could be interpreted as being critical of him. It just goes to show how people ignore facts. You only have to see the demographics of WUWT readers to know the extent to which Anthony bans or otherwise discourages normal people to comment. WUWT is 98% science deniers - almost the complete opposite of the real world. Nope, nothing here this time. Maybe later if I feel inclined. So far there are 153 comments mostly of the 'rah 'rah type or "me too". As everyone knows, WUWT is 98% science deniers - so it's much what you'd expect from the scientific illiterati. Most seem to reject climate science because of their world view, distrust of authority, tendency to attribute any reputable source as having nefarious intent. In other words, they view themselves as suckers and therefore have become suckers. Classic expectations theory stuff. PS I might later do a categorisation of responses. For example, there appear to be a disproportionate number from engineers, some physicists. A lot who reject science on ideological grounds (lots of words like "socialism"). I haven't yet read any that refer to any valid scientific basis for their rejection, which isn't a surprise. A few emotional responses from people who expressed much comfort in knowing there are other science deniers out there in cyberspace. I've written more about this here and here. Sou | 4:30 AM Feel free to comment! How does that heat get to the deep ocean hidey hole, down to 2000 meters, without first warming the upper 700 meters in transit? That’s some neat trick. Why is that unlikely? What rule is there that says that all over the world has to warm at the same rate all at once? 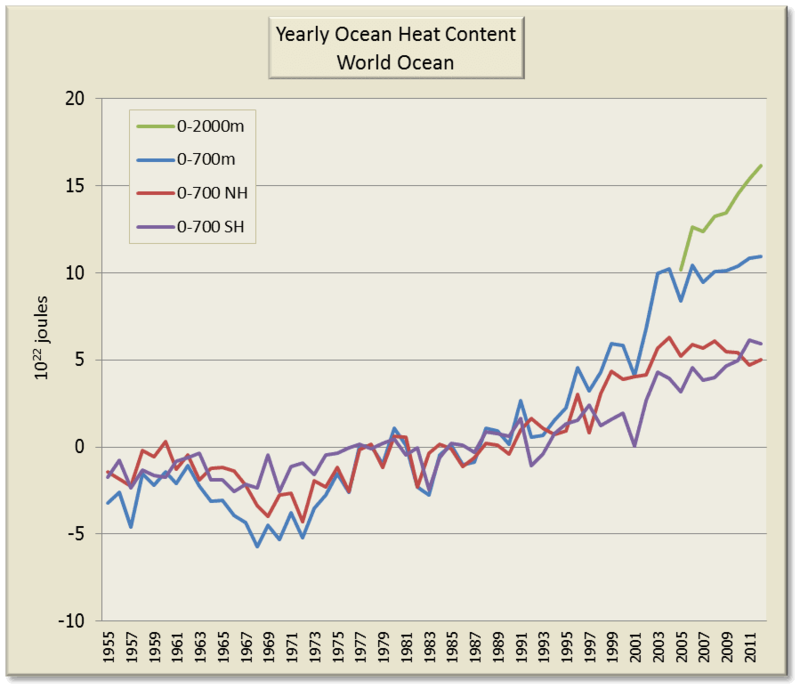 Why wouldn't oceans in particular heat or cool at different rates at different times? The land does, why not the oceans? The weird thing is that it's only a few hours since Anthony posted an article about how the Indian Ocean didn't warm up as quickly as others until recently, most probably because of aerosols. Makes you wonder if he ever reads anything he posts or if he just copies and pastes without reading the stuff. 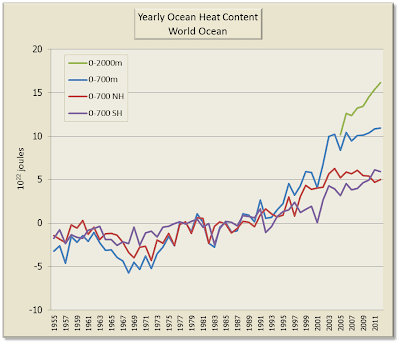 If you go to WUWT (no need really), you'll see that Anthony has focused on only the past few years, from around 2005 and is looking at changes in ocean heat content, not temperature. So let's consider that, except we'll look at all the available data, not just the past few years. There is only data to depth for the last few years, but there is a lot more data for 0-700 metres. July 24, 2013 at 8:17 am Sorry for the scream, but: again and again, WHAT IS THE MECHANISM? What told the heat to hide? In 50 words or less of plain English, please. July 24, 2013 at 8:34 am Just out of curiosity, why did this process (energy going into the deep ocean) not occur from 1970 to 1996? Does it just occur when the solar radiance decreases (rhetorical question.) 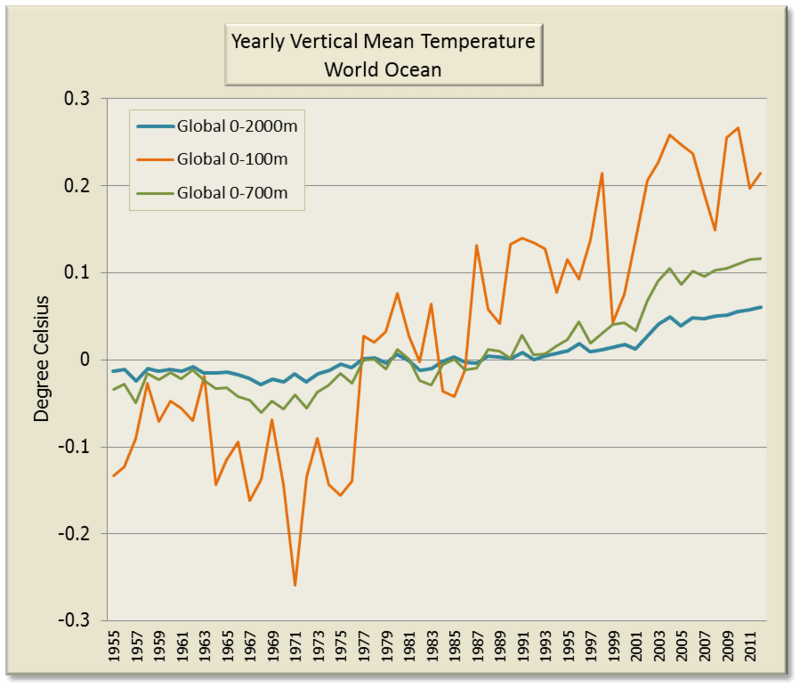 I too, wondered to many AWG supporters how the deep ocean might warm, but the surface not. This is more pathological science from very poor scientists who have a poor grasp of basic thermodynamics. July 24, 2013 at 8:48 am About the only obvious mechanism for deep water to heat up is through vulcanism. 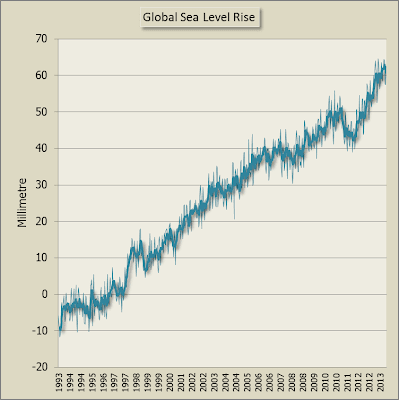 July 24, 2013 at 9:30 am Bearing in mind hiding heat > thermal expansion shouldn’t we be seeing an acceleration in the rate of sea level rise? July 24, 2013 at 9:58 am Actually, the overall cooling began in 1938 . . . it’s been going on, net, for 75+ years now . . .